Young Malayalam superstar and son of late actor Sukumaran, Prithviraj Sukumaran celebrated his 34th birthday on 16 October. Prithviraj's first theatrical release was Rajasenan film, Nakshathrakkannulla Rajakumaran Avanundoru Rajakumari. The film was a disaster at the Box Office. However, Prithviraj made his mark with his second release, Nandanam. The film was a huge Box Office success and earned him the label of most promising newcomer. But the actor had to face a lot of criticism due to the string of flops he delivered soon after. But Prithviraj bounced back strongly in the year 2006 by delivering three clean hits, Vargam, Classmates, and Vaasthavam. For Vaasthavam, the actor bagged the Kerala State award Best Actor to become the youngest Malayalam actor to do so. Prithviraj has acted in more than 80 films and most of them have been super hits at the Box Office. 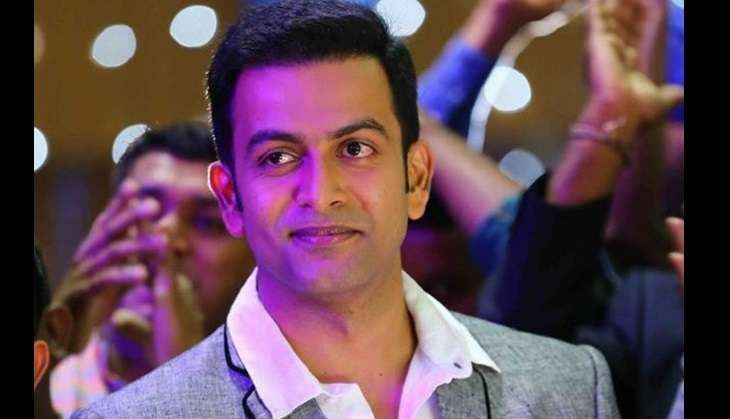 1) Prithviraj was born in the capital of Kerala, Trivandrum on 16 October 1986 to Malayalam actor Sukumaran and veteran actress Mallika Sukumaran. His brother, Indrajith Sukumaran and sister-in-law, Poornima Indrajith are also film actors. 2) Prithviraj's initial schooling was at Shrine Vailankanni Senior Secondary School, T. Nagar, Chennai and St.Joseph's Boys' Hr.Sec.School, Coonoor, since the family was settled at Tamil Nadu that time. Later the family shifted to Kerala due to Sukumaran's death in 1997. 3) Prithviraj was an outstanding student during his school days. He won the title of "Mr LA Fest" in the Annual Inter-School arts festival hosted by Loyola School, Thiruvananthapuram in successive years and is the only person to date to win that title twice. 4) Prithviraj atudied Bachelor's Degree in Information Technology at the University of Tasmania, Australia. Director Ranjith asked him to play the lead role in his film Nandanam. After his acclaimed performance in the film, he decided to take a break from studies to concentrate on his film career. 5) Prithviraj made his Tamil debut in 2005 film, Kana Kandaen as the main antagonist. He has acted in nine Tamil films including Mani Ratnam's Raavanan opposite Aishwarya Rai Bachchan. In 2010, he made his Telugu debut with Manmohan's Police Police. 6) In 2006, Prithviraj broke the record held by Mohanlal for 20 years, when he received the Kerala State Award for the Best Actor. The actor has also won most of the 2006 awards for his terrific portrayal of Balachandran Adiga in Vaasthavam. 7) Prithviraj started his singing career in his 2009 film Puthiya Mugham. The Deepan directorial was a sleeper hit at the Box Office and the title song sung by the actor become a rage among the youth. His songs in Thanthonni (Kattu Paranjathum), Anwar (Njan), Urumi (Vadakku Vadakku) and Amar Akbar Anthony (Premamennaal) were chartbusters as well. 8) On 25 April 2011, Prithviraj married Supriya Menon, a BBC India reporter, in a private ceremony at Palakkad. They have a daughter, Alankrita, born in 2014. 9) In 2011, Prithviraj turned joint producer along with cinematographer-turned-director Santhosh Sivan, Tamil actor Arya and actor Shaji Nadeshan under the banner August Cinemas. Their maiden venture, the big budget Urumi was a success at the Box Office. Soon after the release, they have made another film, Indian Rupee, which went on to bag the National Film Award for Best Feature Film in Malayalam. Their upcoming venture with Malayalam superstar Mammootty, The Great Father is slated to be released soon. 10) In 2012, Prithviraj made his Bollywood debut with Aiyya opposite Rani Mukherjee. The actor had to sport a six-pack body for the film and became the first Malayalam actor to do so. It paved way to a six-pack trend in Kerala. The next year, he bagged Yash Raj films Aurangzeb along side Arjun Kapoor and Rishi Kapoor. 11) Prithviraj has rejected Farah Khan - Shah Rukh Khan's Happy New Year citing lack of scope for acting in the film. The film turned out be an average fare at the Box Office. The actor recently bagged Neeraj Pandey productions Naam Hai Shabana alongside Bollywood superstar Akshay Kumar, Manoj Bajpayee, and Taapse Pannu. The film is slated to be released in 2017. 12) Prithviraj is an avid traveller and Interlaken (Switzerland) and Tasmania (Australia) are his favorite locations. His hobbies are reading and photography. 13) Prithviraj has always been criticised for his outspoken nature. He has made some controversial statements in his interviews throughout his career stating that Mamootty and Mohanlal are overhyped superstars. He also criticised the two Big M's for taking up acting roles that don't correspond to their real age.